Ideal Size - Our classes average 24-25 students, allowing students to participate and personalize their educations in a safe and nurturing environment. Dedicated Teachers - La Salle Prep teachers are called to their vocation and care about the success of their students. In addition to teaching students, they serve as mentors, club leaders, coaches, athletic spectators, and "big brothers and sisters." A 1:1 Learning Environment - Each student is required to bring an iPad to school to facilitate learning in place of traditional schoolbooks. One of the core Lasallian principles calls us to ask “What do the students need?” Technology has fundamentally changed our response to this essential question. Students today must be able to understand and thoughtfully apply the immense amount of information that is readily available to them in today’s connected world. As a result, powerful teaching and learning must change its focus from providing information to students to helping them process information efficiently and effectively. 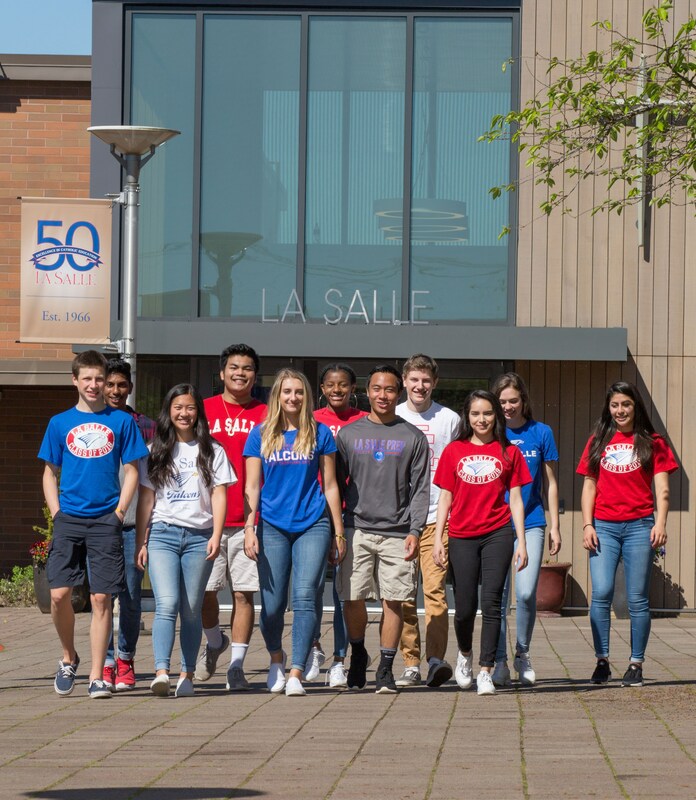 Engaging and Interactive Classrooms - La Salle teachers understand the demands of a 21st-century education and strive to engage and educate students in ways that are relevant and real. Our mobile learning environment gives students access to unlimited resources and opportunities to think critically, collaborate with others, and create products that demonstrate mastery. STEM Academy - Our Science, Technology, Engineering and Math Academy allows students to design and build hands-on projects, explore cutting-edge applications, cultivate design thinking and creative problem-solving skills. Our M.J. Murdock Charitable Trust Innovation and Design Center offers students the opportunity to work with professional equipment including a laser cutter, several 3-D printers, large format printer, computer-driven router, arduinos, robotics kits, and more. This state of the art makerspace encourages inquisitiveness and critical thinking, which are crucial skills in our technology driven society. Travel - La Salle students are encouraged to push their limits at school, across the country, and around the world. Opportunities include: Harvard Model Congress in Boston, the Canyonlands Field Institute in Utah, Spain, Italy, England, France, and Germany, as well as leadership conferences in California and service immersions in the Arizona, Montana, Washington, and Oregon.